Reflecting a classic Ibanez body style, the Talman TMB30 sports a 30" short scale, cool retro look and delivers a sound that inspires. 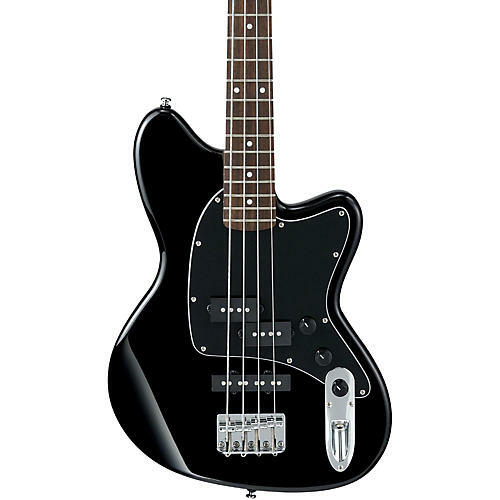 While Talman basses normally have the more common 34” “long-scale” neck, the TMB30 offers a “short-scale” 30” neck. The shorter neck is often preferred by players of smaller stature who find a long-scale instrument to be unwieldy. It is also a favorite of guitarists who double on bass— the shorter scale having a feel closer to that of an electric guitar. The TMB30 features include a Mahogany body for a warm, punchy tone, a Maple neck with Rosewood fretboard, a Standard bridge, and a black pickguard to complete the classic vibe. Electronics consist of an Ibanez Dynamix P neck pickup and a Dynamix J bridge pickup for that rich, vintage sound.